A cottage garden favourite and an elegant border plant. Dotted Loosestrife grows spires of golden coloured starry flowers from June to September. Plants grow to a height of 60-90cm. Flowers are good for cutting. 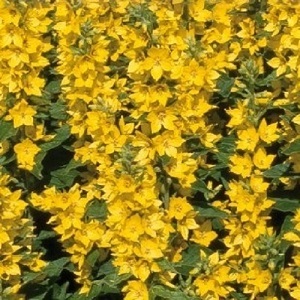 Dotted Loosestrife does well in full sun or part shade and rich, moist well drained soil. Plants tolerate pond margins and hold their own in wild or woodland gardens. 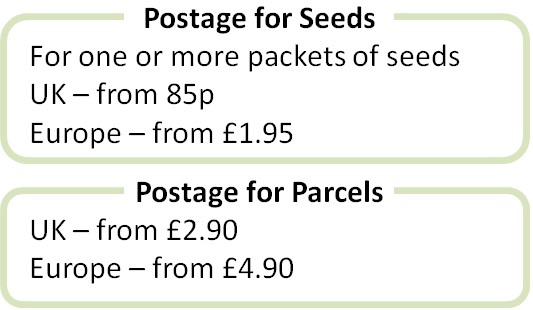 Pack of approx 300 seeds. Sow anytime,typically autumn with the seed tray chilled outside in a cold frame or anytime indoors, including 2-4 weeks in a fridge. Sowing instructions and a colour photo are printed on the packet. Sow Sow outside in autumn/winter in a tray of seed compost. Cover very lightly with compost and with a clear plastic or glass lid. Keep in a cold-frame or against an outside wall and seeds germinate one at a time in the spring. Or sow indoors anytime, typically spring to autumn. Sow as above and keep at 20-25°C. If there is no germination in 3-4 weeks, place in a fridge for 2-4 weeks and then back into the warmth. Transplant seedlings into pots when they are big enough to handle and out into the garden when frost free. Grow Water plants during dry spells. Clear up dead plant material in autumn/winter. Plants start growing again in spring. Divide mature clumps every 2-3 years in spring or autumn. Plants will spread in good conditions.